It's probably true to suggest that most mothers would not be seen wearing clothing decorated with a picture showing their teen daughter in a racy pose. But Kris Jenner is clearly not a typical mom. 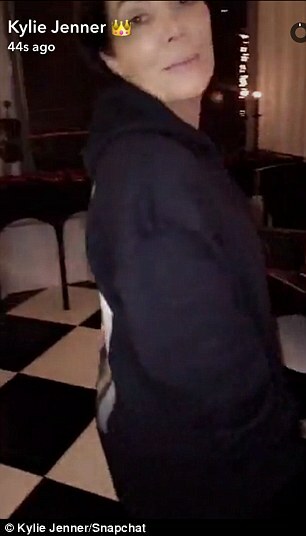 The momager of the Kardashian and Jenner reality clan donned a hoodie Sunday showing Kylie Jenner, 19, wearing just a semi-sheer pink bra on the back of it as she welcomed her daughter to her home for dinner. The image is a portrait of the teen naked from the waist up save for the item of underwear. She's also show wearing a platinum blonde wig and darkly kohl'd eyes. 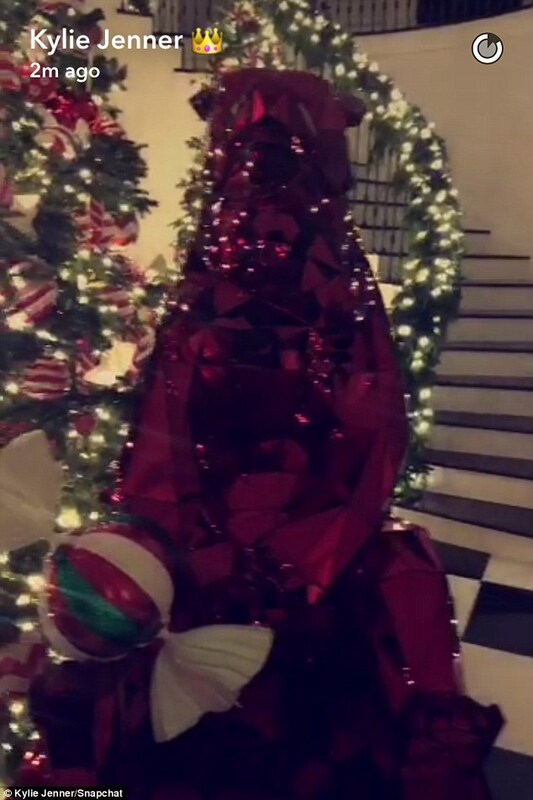 Kris flashes a smile for the camera as she shows off the nmber in a Snap[chat video shot and then shared by Kylie. There was clearly a number of people expected for dinner at Kris's home as Kylie showed a table set for eight with silverware and china. 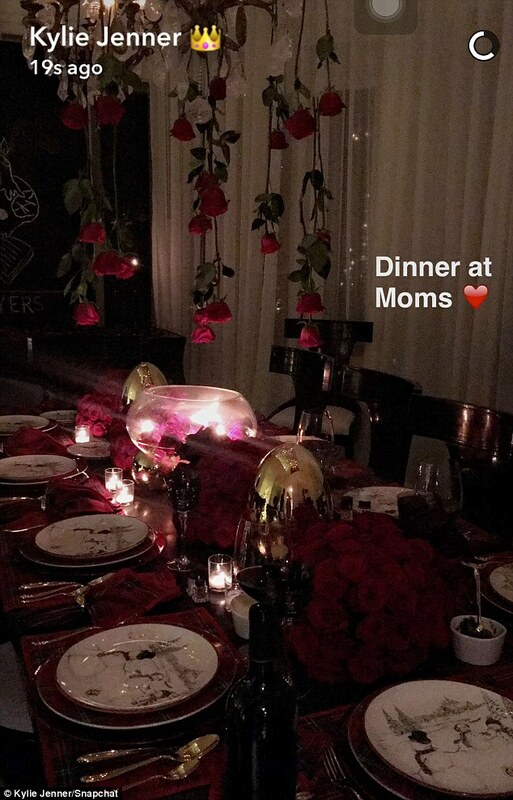 Red roses hung upside down above the table that also was decorated with candles. 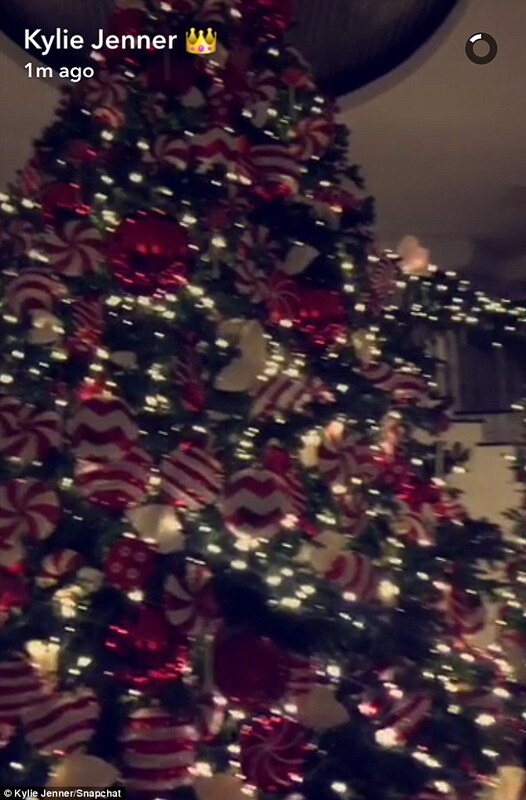 Other decorations in the Hidden Hills mansion, as shown by Kylie on social media, included a tall Christmas tree and a large gingerbread house. 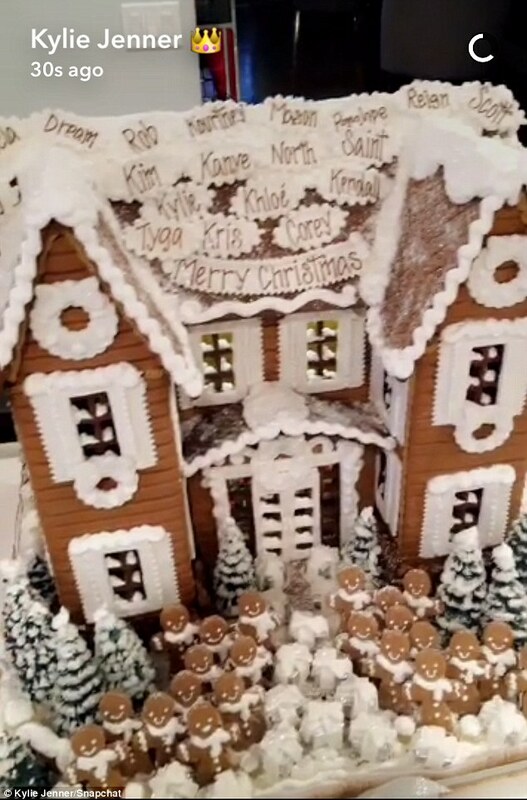 The gingerbread house need to be big as it featured the names of all her kids, their partners and grandkids on it. The names were written in white frosting. A whole bunch of small gingerbread men were place din front of the two-story edible house too.